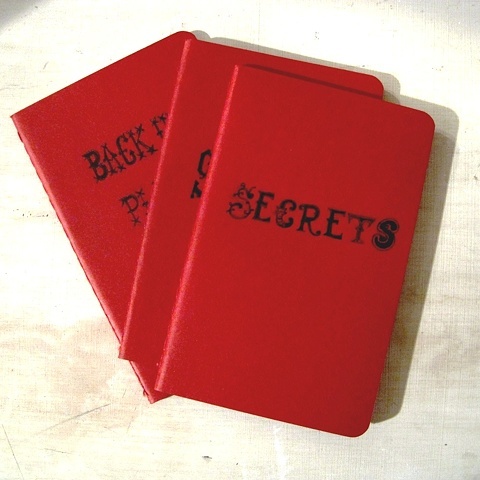 "Secrets" is handwritten on the cover of this gorgeous deep red pocket sized notebook. There's room to add a name above Secrets if you'd like me to personalise this for you. Alternatively you can order a notebook with the text or drawing of your choice. There are 64 plain cream pages- 16 of which are detachable. Get in touch to order a personalised notebook.